There are currenctly 63 articles in this wiki. The Infinitas editable guide to the RP setting. Infinitas is a nexus-based roleplaying setting currently run on IRC on sorcery.net. A nexus setting is one where characters from all different universes are brought in by way of migrant event and put into the same small island, to interact and see what happens. This RP is currently run by Eli on that server. Infinitas is a diverse roleplaying environment with much to offer. Characters from low tech muggle societies, to high magic wizard wonderlands, to space opera galaxy spanning empires can all find play suited for them here. Most characters will be accepted, as long as they are within reason and follow the character creation rules. Once you have your character concept, you can join up on the [http://infinitasrp.com/ forums] and post your character sheet for review and approval. Don't worry, we aim to make it as smooth and painless a process as possible. Most CSes get approved with no modifications at all. Once you've done that, your character will come in by way of migrant. 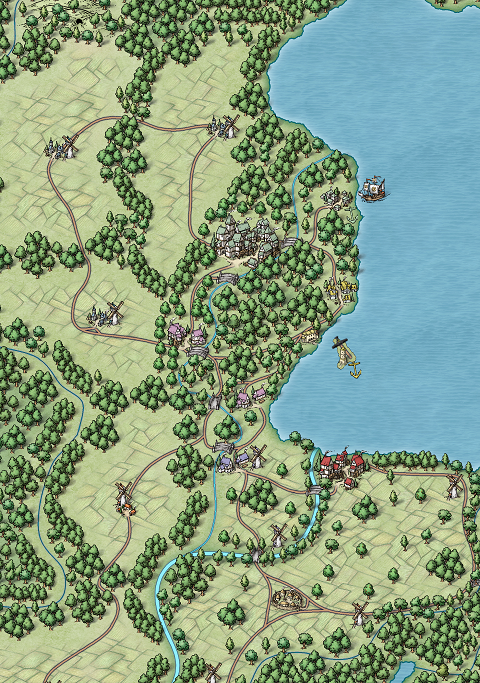 The vast majority of play is centered on the city of Marsilion, so your character should come in around there. Once your character arrives, odds are they'll be brought to one of the numerous welcome centers, where they'll be given the basics they need to survive this new land. With your character's necessities taken care of, you'll be free to explore the setting. You can learn more about it's history, locations, and more. If you're a player just looking for general reference on the setting, start here! Important pages are the general overview, how migrants work, and about the city of Marsilion, where the majority of play happens. Also important is to read where your character will likely end up, the welcome center. The setting of Infinitas takes place on an island about a quarter the size of Illinois. The temperature is fairly mild, though various magic effects can cause unpredictable weather at times. The population mostly resides on the coast, along with most of the agricultural areas. Any player may contribute to this wiki. Contact an administrator if you have difficulties, or if you have a suggestion to improve or edit a protected page. Infinitas is a nexus setting run out of a set of IRC channels on SorceryNet, which is free and open to all. Please see this guide if you've stumbled on this wiki and wish to participate. If you're a new player looking for the basic rundown of the setting, please proceed to this page.